Building or restoring a home is a significant commitment that requires a decent amount of time and money. Luckily, construction loans exist to remedy this problem. Before the recession in 2008, small builders had better access to capital, but now they frequently put the buyer in the position of obtaining the construction loan. These loans can be tough to acquire without previous banking history due to a lack of available collateral— such as a finished home. Construction loans are typically short-term loans with a maximum of one year and have varying rates. This type of loan will also have a higher rate than a permanent mortgage loan. Borrowers should be prepared to build some allowances into their construction timetables since delays due to weather and material or labor availability are reasonably frequent. When and How are They Useful? 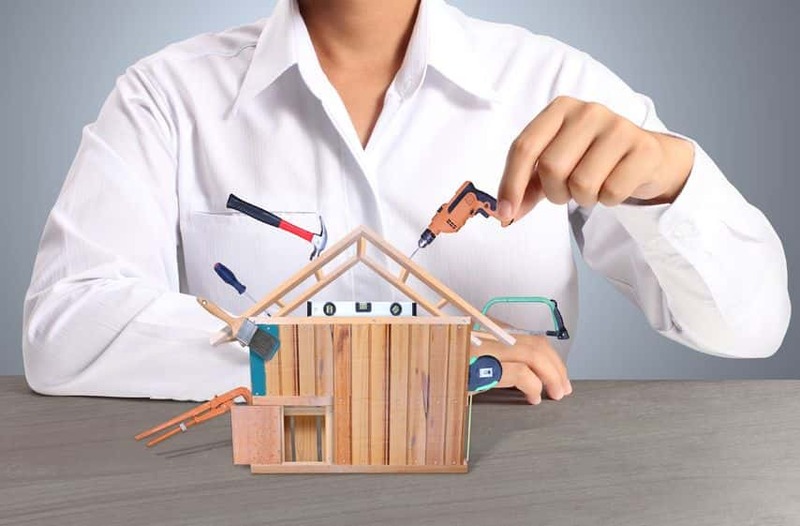 As the borrower, you have several options when building your own home. You can get a construction loan or use the equity in your existing home to finance building your house. Once you settle for this option, it’s time to find a homebuilder. Hiring an architect is like hiring any professional — you want to work with the best. Contact your local chapter of the National Association of Home Builders to get recommendations, and ask your friends, family or known real estate agents who specialize in new home construction. When interviewing possible builders make sure they have experience in the type of residence that you want. Ask about their licensure and insurance, and make sure they’ve got a solid reputation within your community. After construction is completed — when a certificate-of-occupancy is issued, and contractors have been fully paid — the borrower’s loan will usually roll over into a mortgage loan. Some lenders will combine these two loans into a single 30-year loan with one closing. This is called construction-to-permanent financing. However, these types of loans pose a greater loan-to-value risk to the bank so borrowers should be prepared to put down higher down payments or more collateral. If you own the land already, you can use that as collateral. Our construction loan program offers competitive fees and rates, as well as flexible draw schedules, to keep you and your builder or contractor moving efficiently throughout the process. But Isn’t New Construction Only for the Wealthy? There are several ways you can finance your new construction, no matter the situation. Whether it’s financed by the builder or the buyer, we will help you find the one perfect for you and your lifestyle. There isn’t a required minimum down-payment of 20% because the down-payment will depend on numerous factors. Depending on the equity of the land, the location, your situation – it can all change the amount of down-payment required. But the Loans are Limited and I Need to Own the Land First, Right? If you own the land, the equity will act as all or part of your down-payment. If you do not own the land, it will be purchased with the first draw after the construction loan is closed. Loan options, along with down-payments, vary depending on many factors. However, the key thing to remember here is that there are options out there for you. Depending on the lender, the type of home, and terms, your options for construction-to-permanent loan options can vary. There are different requirements for each loan, and while they are uncommon, they are not unusual. If you’re interested in applying for a construction loan, contact one of our home loan experts today!